Henrikh Mkhitaryan has revealed that he had to double check whether Manchester United’s interest in him was real in the summer, as he could not believe the news that one of the world’s biggest clubs wanted to sign him. The Armenian also explained how Ed Woodward contacted him directly to confirm the club’s interest, and that he was taken completely by surprise over it all. 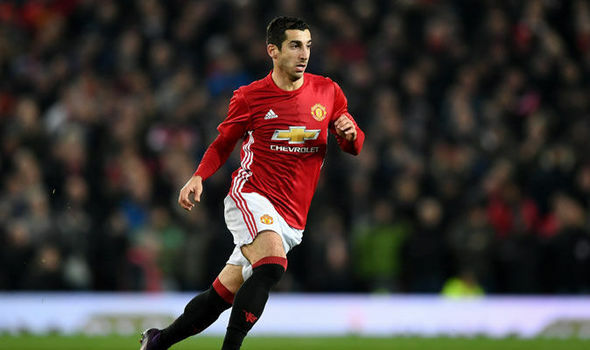 Mkhitaryan has had little chance to hit the ground running since his £26.3million move to Old Trafford due to lack of playing time, however, he showed José Mourinho just what he is capable of on Wednesday night, as he put in a man of the match performance against West Ham in the EFL Cup. Mkhitaryan contributed directly to two of United’s four goals with two assists on the night, earning himself his second consecutive man of the match award. The midfielder had an exceptional season last year for German giants Borussia Dortmund, yet still did not believe he had the chance to sign for United at first, as it was one of his biggest dreams in football. “Last summer, my agent [Mino Raiola] called me and said that Manchester United was interested in signing me. It took me by surprise,” said the 27-year-old. “I said, ‘Is it real? Or is it just speculation?’ When your dreams are close to coming true, it does not feel real at first. “A few days later, Manchester United’s interest was confirmed when I got a call from Ed Woodward, their executive director. He told me that the club was indeed interested in me. You can imagine how excited I was by that possibility. “When the deal was done and dusted, I sat down to sign the contract with United and that’s when it hit me… that’s when I realised that this big move to the Premier League was really happening.